School is in full swing, as in homework and tests and progress reports and activities and projects. 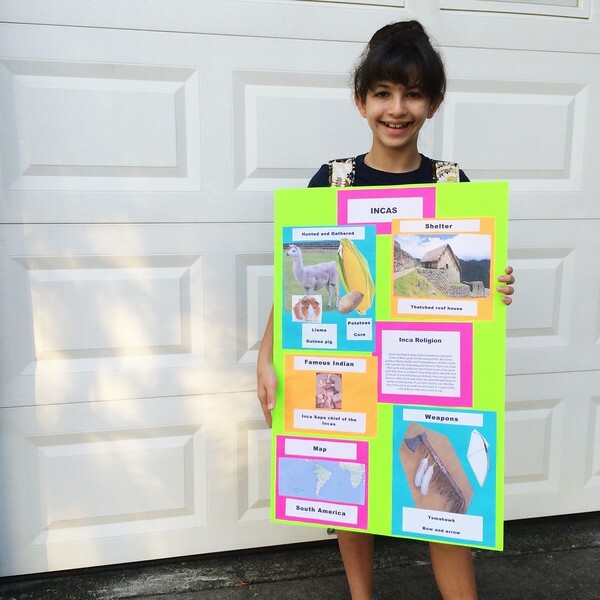 I don't know who was more excited to turn in her Indian project poster last week, me or her. Or possibly our printer. Now she's currently positioned herself on the floor working on her book report poster for Wonder. Since it's not due until Wednesday and she might just finish it today, I'm calling that winning. Last week we went to our first high school volleyball game for Junior High Night. The kids that went to volleyball camp over the summer got in free, which was nice. Clear Creek (my alma mater) played Clear Falls in fast paced, leave it all on the court, exciting matches. Creek won two, then lost one, then pulled out another win to win overall. Whew! Annelise had her first soccer game of the fall season Saturday and it was a doozy because of the heat. Scott and I were melting just sitting on the sidelines so I can only imagine how miserable the players were. It was a close game but her team lost 2-1. She made one goal though and had a few other almost goals so she felt pretty good about it. Several of the same kids are still on the team, along with one other girl that Annelise has become friends with, so that's nice. Sidenote: During halftime one of the moms was talking with us and the convo turned to orthodontics which lead to me asking for her information, which lead to me digging around in my purse for a pen and paper and ended up in me revealing my embarrassing stash of eleventy five lipsticks and glosses and balms, along with a pen, thank goodness, however, she had to write her info on the back of a band aid. Because I'm so prepared and organized that way. After the game we recovered from our respective heat strokes and freshened ourselves up, we drove out to Waller to visit Scott's sister and brother and assorted others, which was nice but made for a super long Saturday. 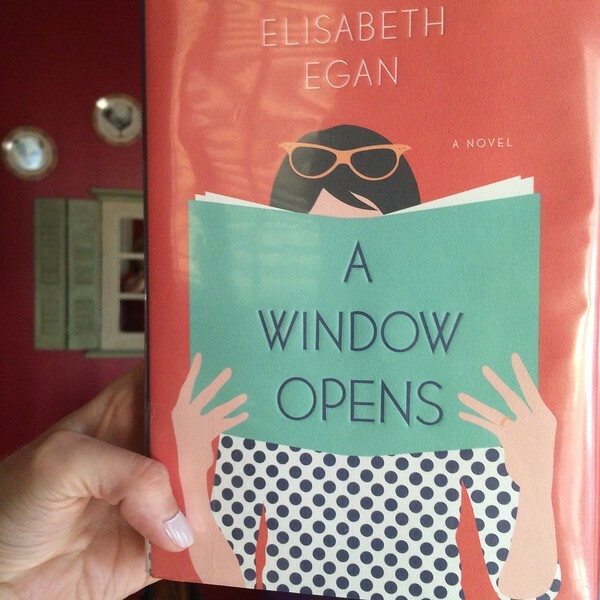 Highly recommend A Window Opens. I had been reading one of Sharon Kay Penman's historical fiction epics, When Christ and His Saints Slept, and was enjoying it, but took a little break for something lighter and faster. A few years ago I got lost in her Welsh princes trilogy starting with Here Be Dragons, so I enjoy her books, but they are very detailed and require, um...focus (but worth the effort).